The year 2018 witnessed extraordinary changes in the styrene industry. The anti-dumping duties ranging from 3.8% to 13.9% on styrene resources originated in South Korea, Taiwan Province of China and the U.S. were finally collected. It not only caused changes in the flow of the supply sources between regions, but also directly led to the extreme inventory levels at main ports in East China, resulting in huge price fluctuations in China’s market. In 2018, the styrene capacity continued to expand. The 500kt/a unit at Haiwan Chemical and the 260kt/a unit at Anhui Haoyuan went into operation in succession, up 9% Y-O-Y. Thus, the proportion of the imported resources dropped continually following China’s styrene capacity expansion. In 2018, China’s styrene import independence degree declined again. The benzene price remained at a low level for the whole year due to the inventory pressure, while the styrene industry maintained strong momentum. The styrene producers gained substantial profits in 2018. Influenced by more complicated and changeable factors, the styrene market went through fluctuations with wider ranges and higher frequencies in 2018 than those in the previous years. From 2019 to 2020, China’s styrene industry will enter an intensive capacity expansion period. The blowout growth of the newly added capacity will completely reverse the supply pattern of China’s styrene market. According to SCI, China’s styrene industry will achieve complete self-sufficiency and even turn to the export around 2020. Facing with radical changes in the styrene industry, this report will provide you with future market trends on whether the imported resources will completely withdraw from the Chinese market, whether the trade circulation space between China and foreign countries will shrink further, and how participants in the styrene industry will respond. SCI has engaged in commodity research for 15 years, and the styrene market information service has lasted for 14 years. SCI has earned widespread acceptance by virtue of the accurate and reliable data as well as the professional researches on the styrene industry. 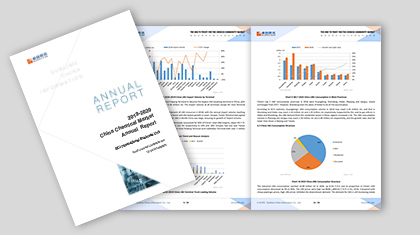 According to the original data investigated by SCI, combined with the authoritative data released by the General Administration of Customs of the People’s Republic of China (GACC), China Statistics Bureau etc., this report makes detailed analysis of the styrene market in the recent 5 years, including the supply-demand structure, variation tendency, core competitiveness, etc. and provides scientific forecast on market trends in the next 3-5 years. 1. To provide detailed and accurate data including the styrene capacity, output, and the operating rate from 2014-2018. 2. To provide the primary inventory data of the styrene at main ports in East China for participants to make judgement and analysis. 3. To present abundant information and data to help participants to make a comprehensive understanding of the styrene market. 4. To offer detailed and accurate data for participants to forecast the development trend of the styrene industry in the next 5 years.